Synopsis: Public Safety responded to Fieldhouse Lane for the report of a vehicle collision involving a College-owned vehicle. There were no injuries and Facilities was notified. Synopsis: Public Safety received a report of a possible sexual assault of a student that occured on campus. The matter was referred to the Title IX Office. Synopsis: A vehicle struck a Public Safety vehicle on patrol. There were no injuries. Synopsis: Public Safety responded to Parrish Hall for an intrusion alarm. Upon arrival, it was determined that the alarm was activated by EVS working in the area. Synopsis: Public Safety responded to Worth Residence Hall for a noise complaint. The officers met with the students and they complied with the request to turn the music down. Synopsis: Public Safety and Facilities responded to Worth Residence Hall for an activated fire alarm. There was no smoke or fire. There was a strong odor of marijuana and it was determined that the smoke detector had been obstructed. The matter was referred to the Dean’s Office. Synopsis: Public Safety and Facilities responded to Pearson Hall for the report of an individual inside an elevator that was malfunctioning due to a campus-wide power outage. The individual was extricated. Synopsis: Public Safety and Facilities responded to PPR Apartments for the report of an individual inside an elevator that was malfunctioning due to a campus-wide power outage. The individual was extricated. Synopsis: While on patrol, Public Safety discovered a tree had fallen on wires at 302 Avondale Road, and the wires had started to ignite the tree. Two fire departments were dispatched and PECO was notified. Synopsis: Public Safety and Facilities responded to Parrish Hall for an activated fire alarm. The investigation determined steam escaping from a pipe had activated the alarm. Synopsis: Public Safety responded to Wharton Residence Hall for the reported odor of marijuana. The area was checked with negative results. 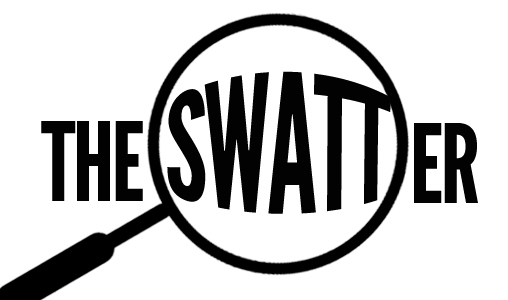 Synopsis: While on patrol, Public Safety and OSE were notified of an ill Swarthmore student in Willets Residence Hall. It was determined that the student was intoxicated and that further evaluation and treatment were necessary. Swarthmore Police and an ambulance responded. The student will be cited for underage drinking. Synopsis: Public Safety responded to Woolman Residence Hall for a noise complaint. The individuals were identified and left without incident. Synopsis: While on patrol, Public Safety discovered signs in violation of College policy. The signs were removed and the information forwarded to the appropriate offices.